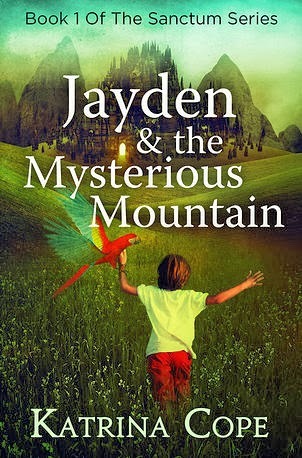 “Jayden & the Mysterious Mountain," the first book in the Sanctum series, is a young adult novel with a fantasy-themed plot that will have readers on the edge of their seats. Katrina Cope's 222-page novel begins when Avando, a mysterious old man, makes Jayden, a homeless youth, an offer that seems too good to be true -- food and shelter in exchange for academic performance. The plot takes off when Jayden takes the offer, enrolling at a mysterious school called The Sanctum. The school itself is interesting for the reader, hidden in the mountains and filled with imaginative technology. One of the strongest points of the novel is Cope's descriptions of the characters' backgrounds, which add a layer of characterization that helps the reader understand their decision-making. Cope also does a wonderful job describing scenes and action, giving the reader a vivid picture of what is going on. The plot is paced well and will have the reader eager to learn what will happen next -- there are even a few twists along the way. Overall, "Jayden & the Mysterious Mountain" is a good read for anyone looking for an imaginitive, fast-paced YA book.